live in New Jersey and can’t wait until the Spring is upon us. You see I am an avid gardener and have been one since I was a youth living in Coney Island in Brooklyn, New York. Back then, as a student in grade school I purchased seeds each year sold in school in a program run by the Brooklyn Botanical Gardens. Now 65 years later, I am still planting my seeds, cultivating my vegetable garden and planting my annuals and vegetables all around my property. 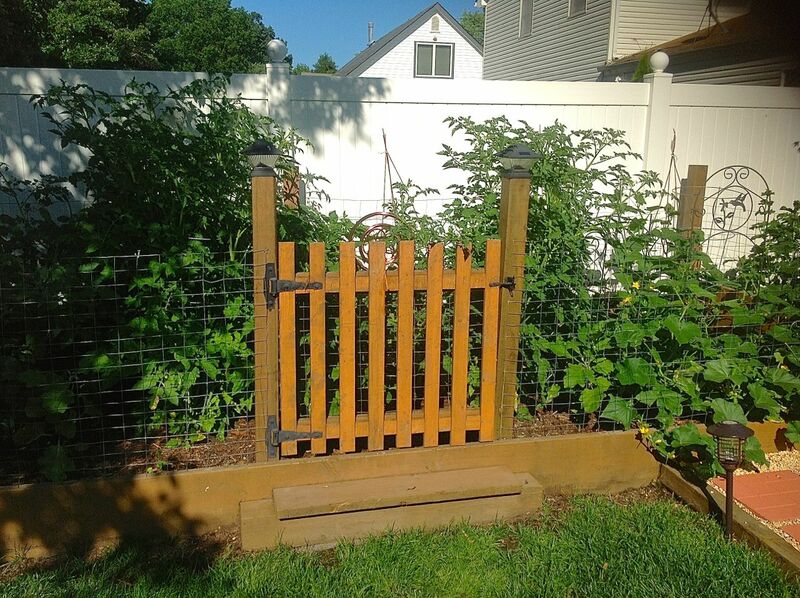 It is not easy each year as the lawn and garden does require a great deal of work. Fortunately, this passion of mine gets me away from the computer and into the garden. As you can see from these photos my garden shows the care and attention it gets from me. Although I live in a town where homes were built on 1/3 acre of land and deer and other animals don’t seem to want to visit us, we do have other critters that do. Now we all know about the common pests, the squirrels and chipmunks that seem to be as common as bees in a garden. For many years I enjoyed watching the squirrels and birds eat from my bird feeders and even bought peanuts in the shell to feed the squirrels. Big mistake, soon they were peeking into my back door or climbing on the door to beg for more. I stopped that practice and continued feed and enjoy all the beautiful birds in my garden. Once I planted my apple tree and realized the squirrels were eating all of the apples before they could even mature, I decided to stop feeding any of the animals and birds because I soon noticed they brought other friends into my garden as well. As my vegetable garden started to really take off, around end of July each year and the Marigolds I plant to keep the white fly and bug population in check, I found that both the veggies and the marigolds were getting destroyed and eaten to the root by groundhogs. How did I know they were groundhogs you might ask, simple, they were as big as a small dog and would come through a hole they dug from my neighbors yard into mine. Some would be brazen enough to have me watch them as they destroyed my garden, others would run when I stepped onto the patio. I knew I had to do something and a friend of mine had gotten rid of squirrels using a Havahart trap which catches the animals in a safe way so you can relocate them elsewhere. I purchased one on the internet, but now I see that Home Depot also carries them in their stores. I found the spot where they would enter the garden and set up the trap there. I covered it with some leaves and other material to camouflage it. Some say you are better off putting the trap over the food so they have to enter the trap to get the food while others, like me, simply put the bait in to the far end of the trap. 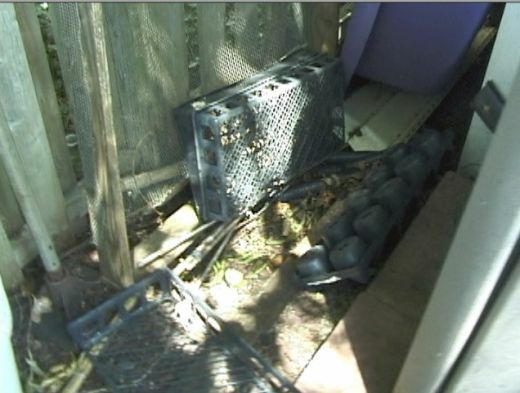 The trap door opens and is held open by a small lever that is connected to a metal plate in the floor of the trap. The animal enters the trap, walks down to the far end to get the food and he steps on the plate which releases the door. I have used string beans, carrots (which seem to be very popular), peanut butter, zucchini and other veggies. They all seem to work fine. They also sell food for these animals so you can buy some and use that as well. 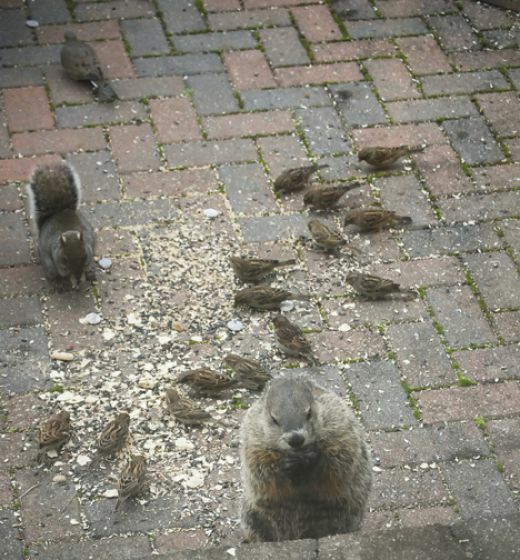 We already know that our groundhogs love the sunflower seeds in the bird food I feed my birds. Havahart trap, size depends on what you are looking to trap. Check Havahart site to see the size you need. The proper bait for the animal you want to catch. Place to relocate your critters and it should at least a mile or more away so they won’t find their way back to your home. No parks please, check your local authorities for more info. I have found a nice large wooded area, no homes nearby or public areas, so it was the best place for me to relocate my critters. 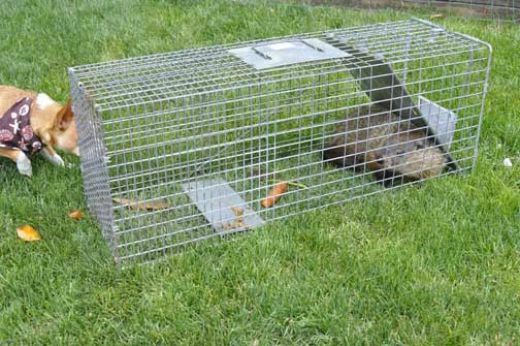 If you are trapping groundhogs, check back every few hours to see if the door on the trap is shut. 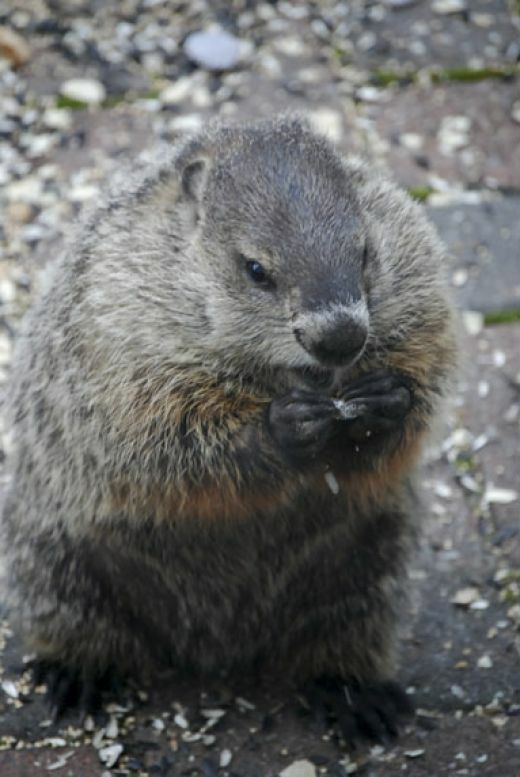 Groundhogs are not nocturnal and will eat all day. Possums and raccoons are nocturnal and will only forage for food at night, so leave the trap and check it in the morning. Georgie thinks this is another dog. Cleaning the trap on the grass. I noticed the groundhogs had to eliminate their solid waste when in the trap. Might be from nerves or they simply have to go after they eat, you will see they have eaten all the food in the trap. I take the trap to my grass and hose it clean making sure not to get the water on the groundhog. Once the trap was clean enough, I line some newspapers on the back floor of my SUV and put the cage in. I also cover the cage with a large towel to keep them quiet. I am lucky because I live in New Jersey and we still have plenty woods where relocation is relatively simple. Of course that is probably why we have these critters. I am sure if I lived in an urban area the varmints would be the ones you would want to eliminate and not relocate. For the sake of this article, we are talking about native rural wildlife, not urban pests. Check with your local health department, park department or states wildlife bureau to make sure it is OK to relocate your critter before you do. Some pests are just that and may not be welcome in any public area. Wear workman or heavy gloves with you on your release of the critters. Safety is critical and you don’t want to deal with a bite or bad scratch from one of your animal friends. Wild animals are not pets, so handle them with extreme care. Be careful on release and simply open the trap and wait for them to leave or help them by tilting the trap. Most are afraid to move out of the trap, so try to urge them, but understand they are simply scared and you don’t want to make matters worse. Please watch this informative video I did that will tell you more about our friend the Opossum. The only marsupial in the United States that carry up to 13 babies in the mother’s pouch. This video shows one with her babies that I caught and released in our neighborhood woods. I have included many unknown facts about these wonderful animals in my video. This is a must watch video that shows the only time I caught two baby raccoons. You can see how their parents came over to make sure they would be safe. Once I released them, they all ran away and now years later have never returned. I suppose they realized they were given a second chance. I love all native animals and would never, ever harm even the smallest ones. We do have rabbit issues, but not bad enough to warrant trapping them and the squirrels, well, they say that trying to rid your garden of squirrels is a fools mission. I found that not encouraging them by feeding the birds, is one way to keep them out of the garden.